Summer is the time I invest in updating the home; whilst the days are long and light I get the paint brushes out and spruce up the rooms, start on the list of jobs and add a few accessories. I also tend to buy any furniture in the summer so I've got sunny days to redesign a room and match up any coordinating fabrics and paints. Next on my list is to smarten my snug room up where the wood burner is. The sofa desperately needs replacing, it was second hand anyway and the walls need repainting in my usual antique white. I'd like the room to show my love of the British Isles and have been looking for some inspiration. 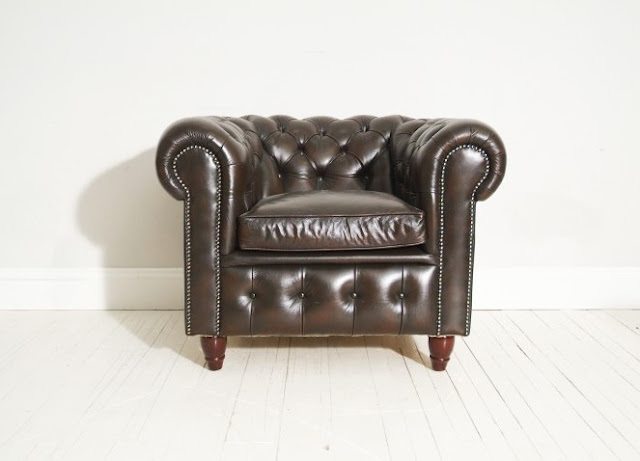 There's always the one piece of furniture that is timeless in a room and The Original Sofa Co Ltd with their handcrafted Chesterfield sofas and chairs offer that perfect solution. 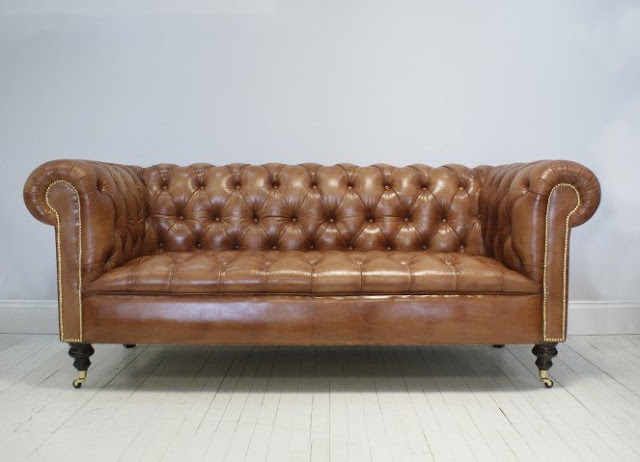 As a lover of all things British, the Chesterfield is the ultimate iconic item for a relaxing room with a classic quality style. The Original Sofa Co craft their Chesterfields using traditional techniques, coil sprung seats, fully tacked and hand dyed. Their expertise produces an extensive range of sofas and I love the Signature Collection such as the Wilmington Chesterfield in light tan. This would really suit my homestyle and remind me of my childhood as my parents had a very similar sofa. I'd team the sofa with some cosy cushions and a throw for a laid back look. 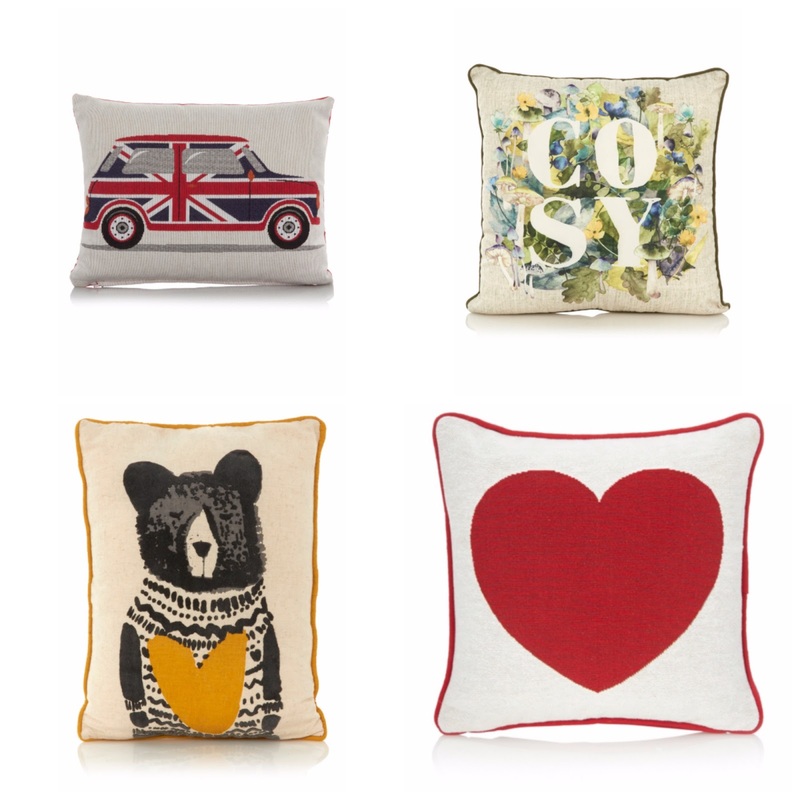 The British theme would give me a lot of scope and I've just found these cushions from Asda Living that would go perfectly with the scheme. Tan leather is gorgeous and a flexible colour to work with though the seasons and the finish on this one with the gold studs and legs is a smart sofa to invest in. Chesterfield sofas look stylish in both contemporary and more traditional looking homes and from those made by the The Original Sofa Co you will find the colour and the style that you require, whether you need a single chair, double sofa or suite. One element of the company that I particularly like is that they restore preloved sofas and in their own words these sofas are 'seeking a new home to write the next chapter of their story'. Items such as this Chesterfield Club chair are restored, retaining their vintage character and patina of the leather so you have a unique piece of furniture for your home. I could imagine curling up in this chair with a stack of my travel books and a mug of tea. For more information and to browse the beautiful sofas and chairs, look at The Original Sofa Co website and they also have showrooms in Newcastle and London, with a concession recently opened in Harrods. Where would my perfect home be?